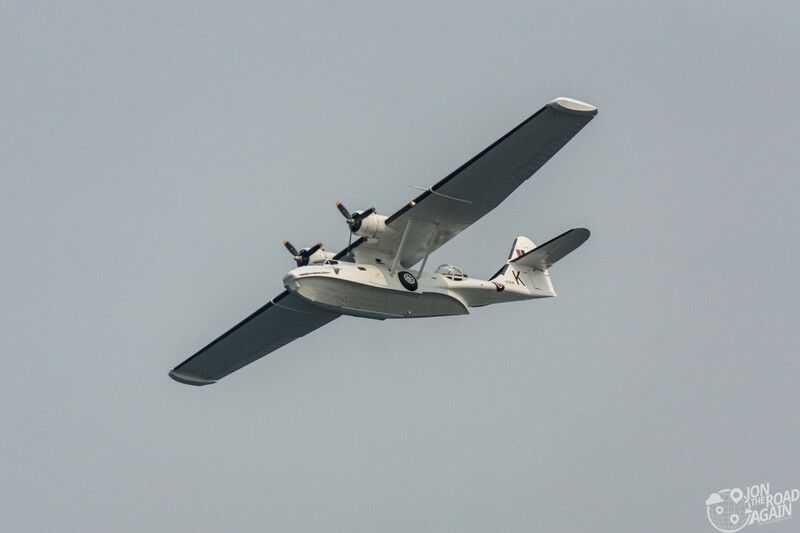 The annual Seattle Seafair Weekend Festival is THE summer event in Seattle; and it has been that way since 1950. 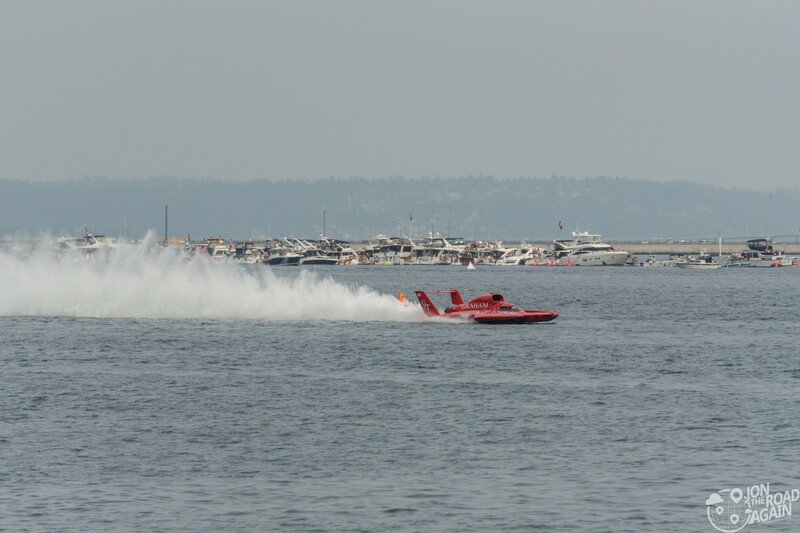 Seafair is a whole summer’s worth of activities, but it culminates with the Weekend Festival. 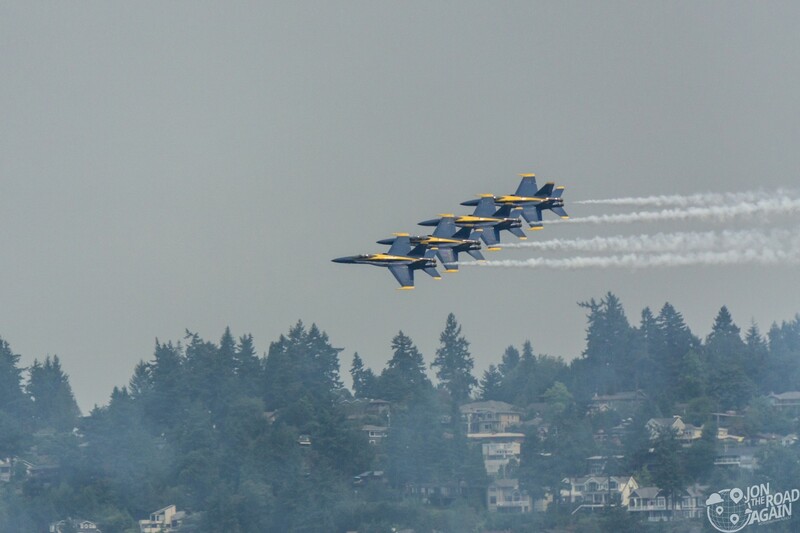 The festival is known for the Seafair Cup hydroplane boat races (known most recently as the Albert Lee Appliance Cup) and the Boeing Air Show which is a regular stop for the Blue Angels. The Hydros come out of the Stan Sayres Pits, which take over Stan Sayres Park. Who is Stan Sayres? 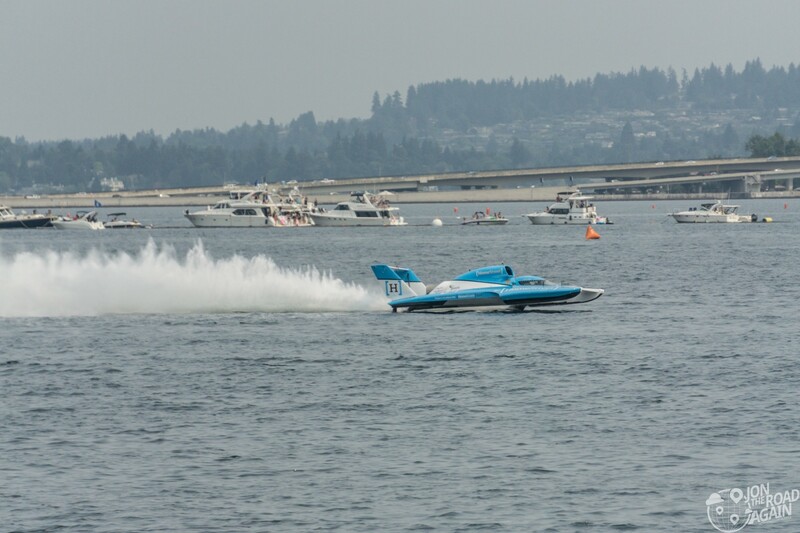 Stan was a Washington guy who was an early speed record holder with his own Hydro boats. Today’s hydros are a lot different those from Stan’s heyday in the 1950’s. 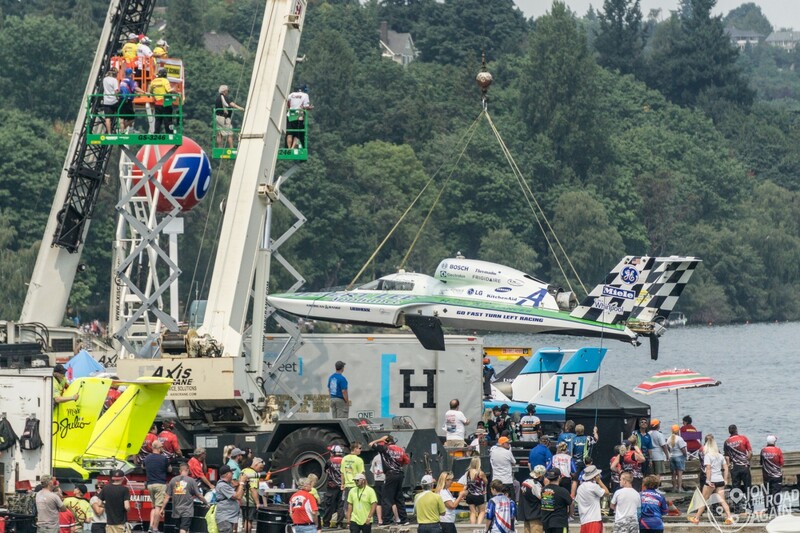 Today’s hydros have more in common with planes than boats, as the goal is to keep the boats out of the water as much as possible. 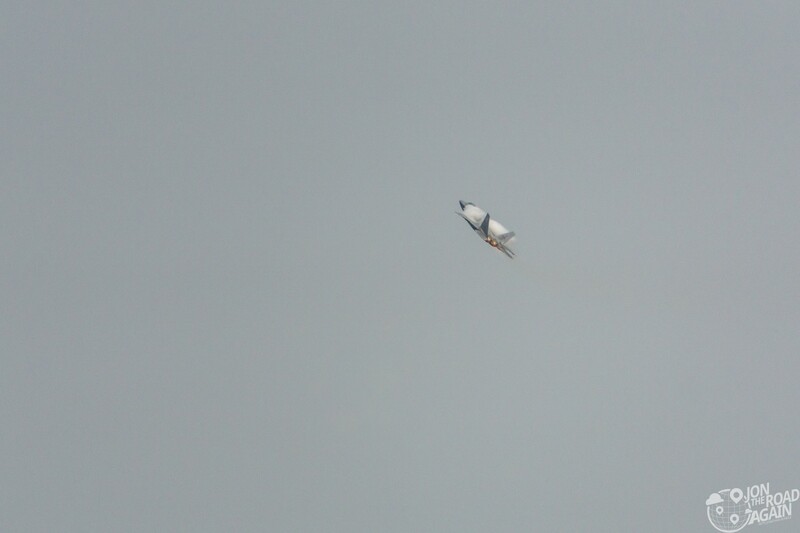 Built from aluminum, fiberglass and carbon fiber, the cockpit is designed after an F-16, the 3000 horsepower engines are usually taken from a helicopter. 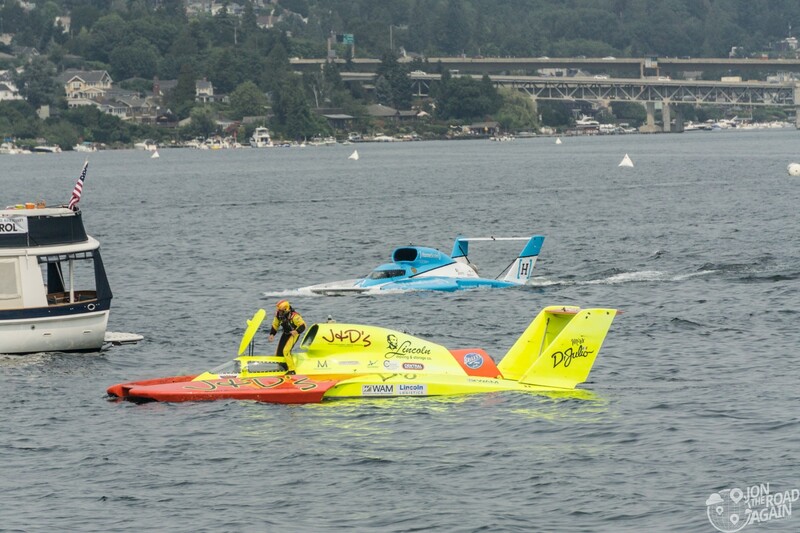 These boats roar by at incredible speeds, approaching 200mph. In this photo you also get a good look of the private boats that make up the popular Seafair “log boom” floating party. 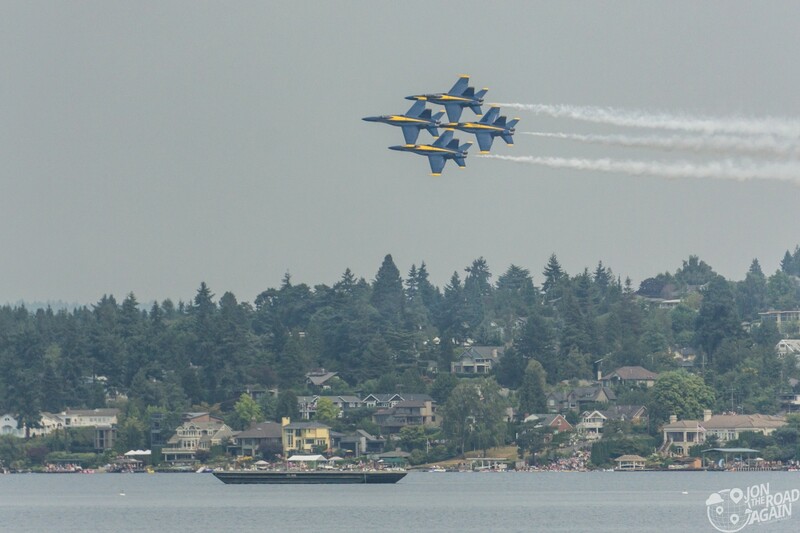 You might consider these courtside seats to the Seafair Weekend Festival. This boat is the Miss Madison, is the only community-owned hydro. The small town of Madison, Indiana has only 12,000 residents and have owned a boat since 1960. MGM even made a movie about them in 2005 starring Jim Caviezel. 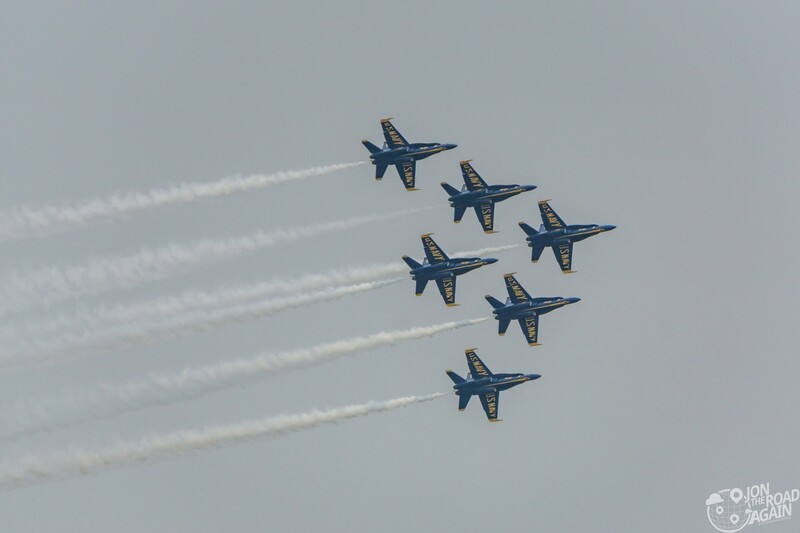 The Blue Angels are the big draw for the air show, and whether they’re doing a show or just practicing for one, the whole city takes notice. The show closes down I-90 which stretches across Lake Washington, so even if you don’t see the show you’ll feel the impact. 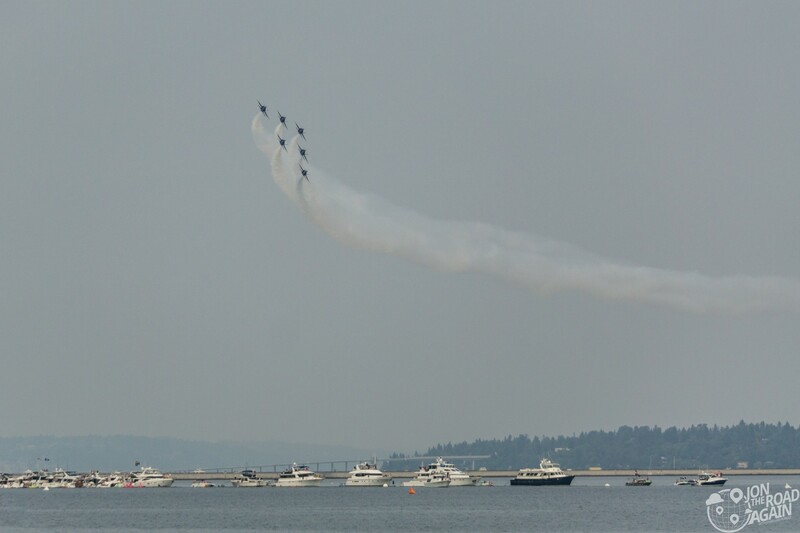 The Blue Angels have performed at Seafair since 1972 (with a couple of missed years here and there). 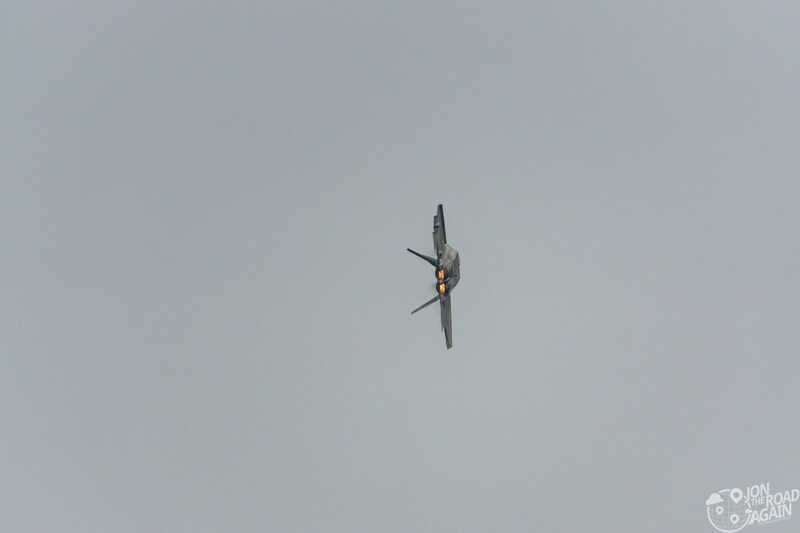 As you scroll through the rest of the photos, feel free to make some jet noises. 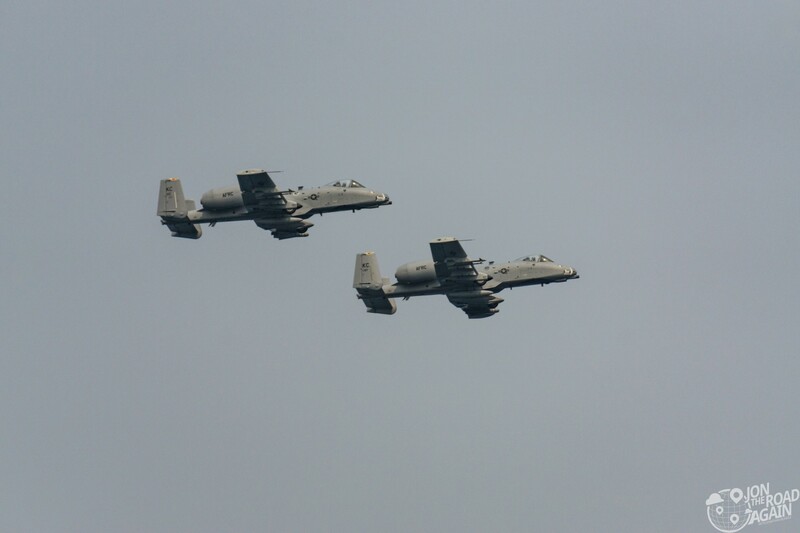 The Blue Angels aren’t the only ones making an appearance – this is a major air show after all. 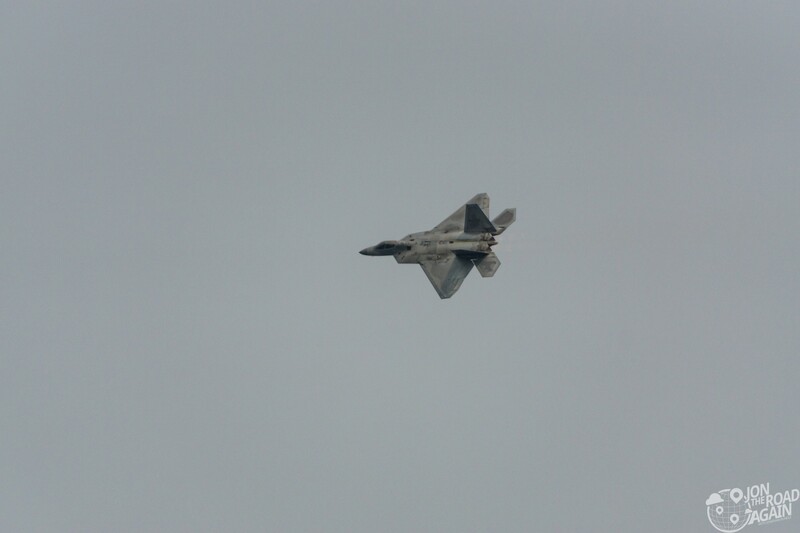 The Air Force brought their F-22 Raptor. 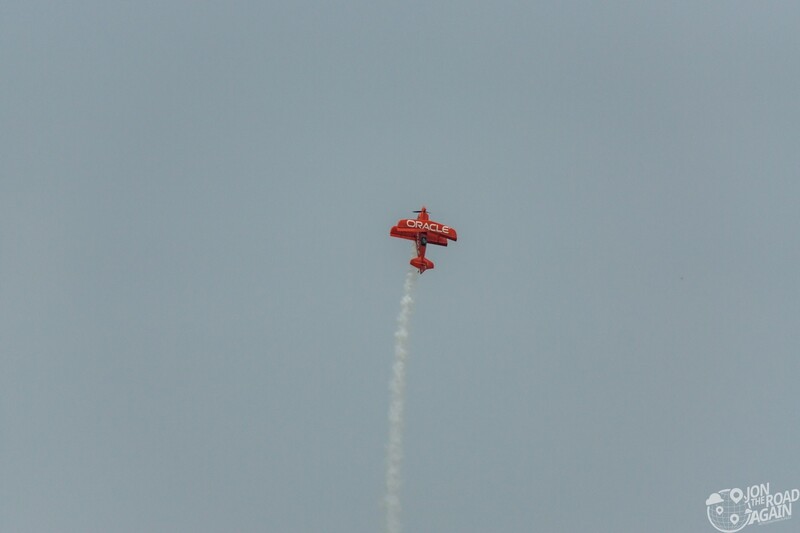 Pilot Sean Tucker flies the Oracle Challenger biplane over Lake Washington. 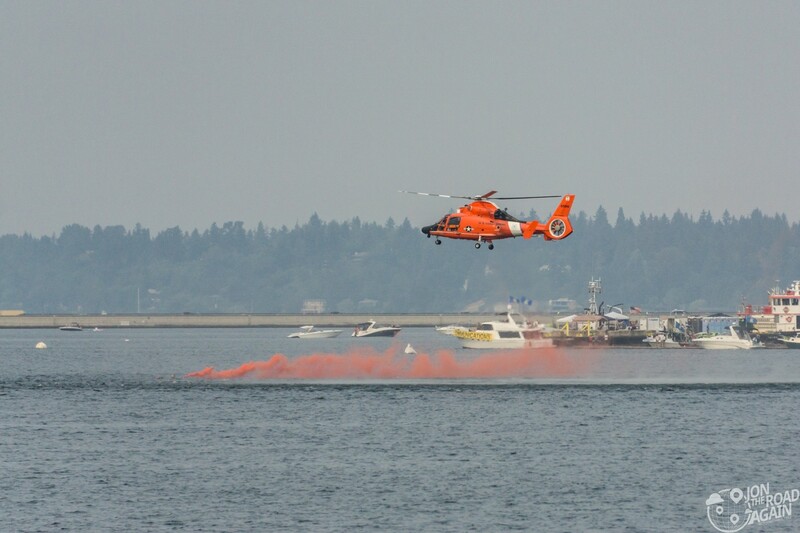 The Coast Guard performs a search and rescue demonstration with their MH65 Helicopter. 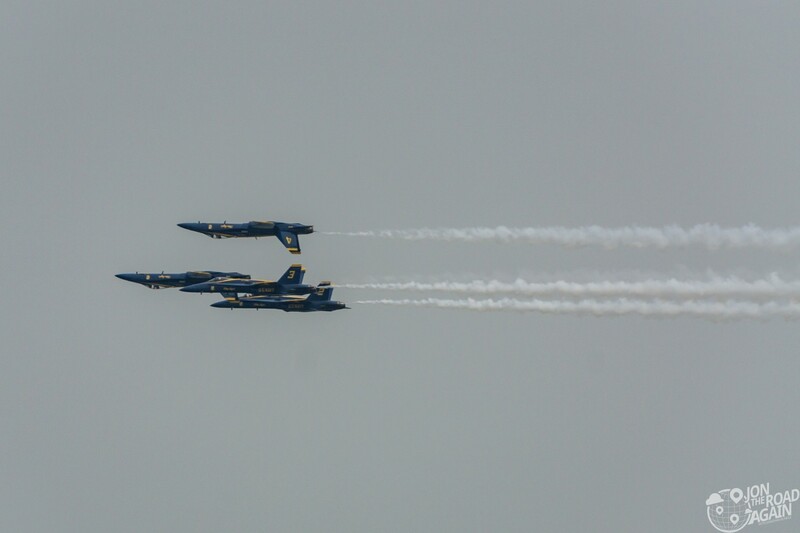 The Seafair Weekend Festival is in full swing not only on the Saturday and Sunday of the weekend, but Friday, too. Gates open each day at 8am and the activities continue all the way until 6pm. There are a ton of ticketing options available, from free all the way to VIP status with catering and drinks. 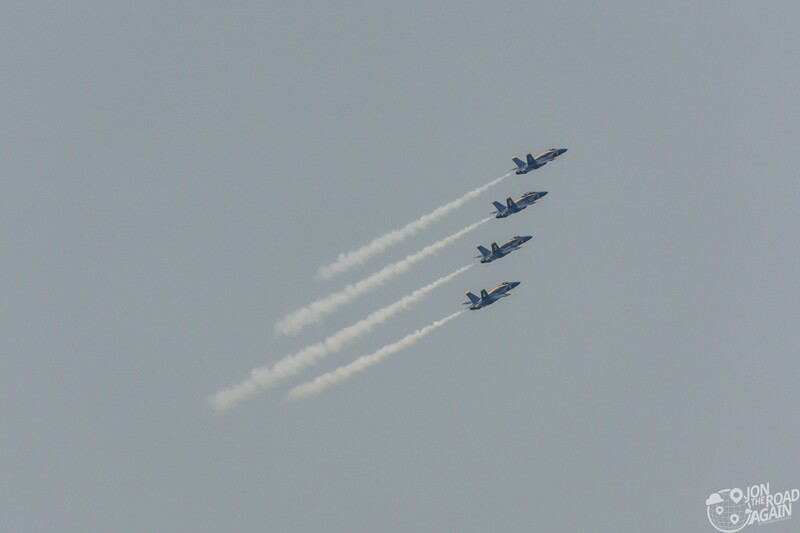 Check out the Seafair home page for all the information. 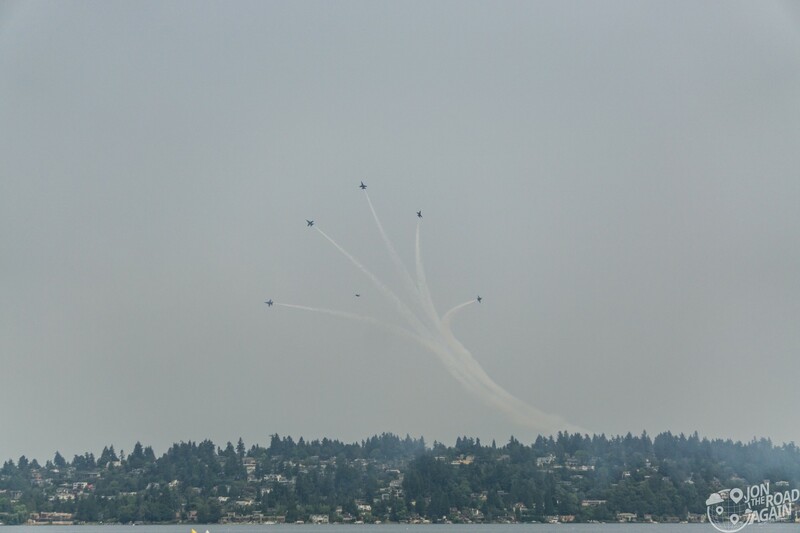 I also recommend watching the Blue Angels from Boeing Field, which is free and awesome and has been covered here on the blog before. Another great Seafair event is the annual Greenwood Car Show in north Seattle. Looks like fun! Would like to be there sometime for that.